Used for centuries for its healing and medicinal properties, Echinacea grows wild in the western United States, springing up in grasslands, barrens and sandy soils from Tennessee to Texas. Commonly known as purple cone flower, this rangy plant has large flowers with long ligules and a sizable floral disc. Echinacea flowers brim with vitamins and minerals including B vitamins, iron, silicon, aluminum and calcium, while roots are sources of thiamin, beta-carotene and vitamin C. Echinacea’s essential oils are rich in thymol, and components of the roots include asparagine, mucilage, betaine, pectin, fiber, tannin and lethcin. Hailed as a remedy for eye problems, colds, sore throats, sores and sexually transmitted diseases for centuries, Echinacea’s history dates back to use by Native Americans as a salve for poisonous snake and insect bites, arrow wounds, toothaches, mumps, smallpox and measles. Westward-moving settlers quickly came to appreciate the plant’s powerful healing properties, and the late nineteenth century found Echinacea firmly ensconced in western pharmacopoeia, particularly for its use as a remedy for syphilis and gonorrhea. 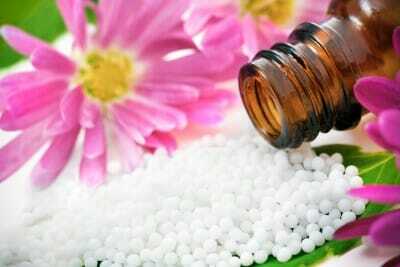 Though now generally replaced by chemical antibiotics, the plant still enjoys extensive use in American natural medicine and is becoming increasingly popular in Europe. Since early Native Americans spread its salve over rattlesnake bites, Echinacea has been a staple in the natural treatment of many types of sores and wounds. Today, the plant’s fresh juice, salves and tinctures are used to heal and treat many forms of skin infection. Applications to wounds, scratches, burns and cuts are effective, as is its use in treating acne, eczema, mouth ulcers and sore throat. Not just the stuff of legend, Echinacea has proved to be an effective alternative to chemical antibiotics for treatment of bacteria, viruses and fungi. The echinacin, caffeic acid and chicory in this potent natural antibiotic give it the ability to stimulate the immune system, resulting in more infection-fighting white blood cells. Plant components also stimulate the production of interferons, pathogen-neutralizing proteins that are part of the non-specific immune system’s defense against viral infections. Though some prefer to take Echinacea in dried plant form, it is easier and safer to take as a pill or capsule after thoroughly reading the patient information booklet. 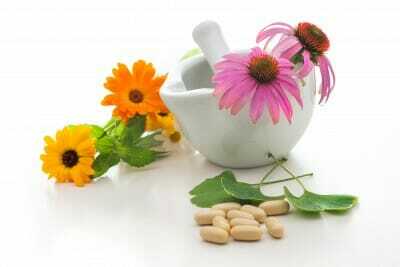 Echinacea is used in the treatment of a host of diseases. It is often employed as a preventive measure and treatment for respiratory diseases, including colds, sore throats, bronchitis and sinusitis. Echinacea’s boost to the immune system assists in treatment of recurring infectious diseases such as herpes, vaginal infections, urinary tract infections, sties, earache, syphilis and gonorrhea. Digestive diseases and muscle inflammations also benefit from treatment with Echinacea. Cancer patients whose bodies have been weakened by chemotherapy and radiation treatments may be helped by treatment of accompanying infections with Echinacea, and studies in Germany have shown the plant’s effectiveness in treating colon cancer. Echinacea has been used to assist in easing the symptoms of cellulitis, a painful skin infection that can also affect connective tissue and lymph nodes. The condition occurs when bacteria enter the skin through a cut, causing tenderness, fluid retention and fever. Mostly affecting the legs, cellulitis can cause serious complications and the first linen of defense is chemical antibiotics. Though there is no evidence that Echinacea can fight active cellulitis, it can be used in tandem with chemical antibiotics under a doctor’s supervision. Echinacea should not be taken by patients with an autoimmune disorder or tendency toward allergic reactions.